Fitzsimmons & Mills, P.C.’s Municipal, Land Use and Zoning Practice works in all aspects of land use activities representing both public and private sector clients. We can represent the contractor, business owner or homeowner in the planning and zoning review processes. Whether you need a variance, special use permit, site plan review or a subdivision for your project, our firm works for you to provide the local services you need to expedite your approvals. We have clients ranging from large commercial ventures to local homeowners who want information about a home business or the subdivision of land for their children. We can handle all land use issues from leases, easements and boundary line disputes to road maintenance agreements. 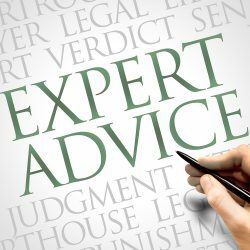 We bring years of experience and insight to your land use dispute. Our firm also acts as town and village, planning board, zoning board and historic preservation counsel to many local municipalities. We work with the municipality to review, draft and apply comprehensive plans, zoning laws and subdivision regulations. Our firm also serves as special counsel to municipalities faced with controversial projects and litigation relating to land development. Our firm also handles all aspects of day to day municipal issues from laws and legislation, to contracts, procurement, acquisitions, tax grievances, meeting processes and procedures, as well as compliance with the New York State Environmental Quality Review Act (SEQRA) and the Open Meetings Law and Freedom of Information Law (FOIL). Fitzsimmons & Mills, P.C., currently provides municipal attorney services for the Village of Kinderhook, Village of Philmont, Village of Valatie, Town of Claverack, Town of Livingston and the Town of Taghkanic. Our attorneys have previously represented, assisted or been special counsel for the Towns of Clermont, Copake, Ghent Hillsdale, Canaan, Gallatin, Rhinebeck, Stuyvesant, and Kinderhook. Call or email us now to discuss your municipal, land use and zoning issue.